Not so long ago, Iceland was a relatively unheard of destination, with only the few most extreme adventurers choosing to travel there. Finding a guide to Iceland would have been a real challenge. These days, it’s one of the world’s most popular destinations, and there are so many Iceland travel guides out there that it’s hard to know where to start. It’s a good problem to have, and it’s only happened because Iceland is one unbelievably epic destination to visit, so there’s always a lot to say when you come back from a trip there! Iceland is one of my favourite destinations and whenever anyone asks me for a weekend break suggestion I’ll always tell them Reykjavik, Iceland’s capital. If you’re planning a trip to Iceland, especially a first-time trip, it can be hard to sift through all of the information out there to find the blog posts and articles that will really help you. That’s why I created The Travel Blogger’s Guide to Iceland, which rounds up all of my favourite blog posts on this destination so that you have everything you need to plan your trip to Iceland! Iceland offers a totally different experience in every season. 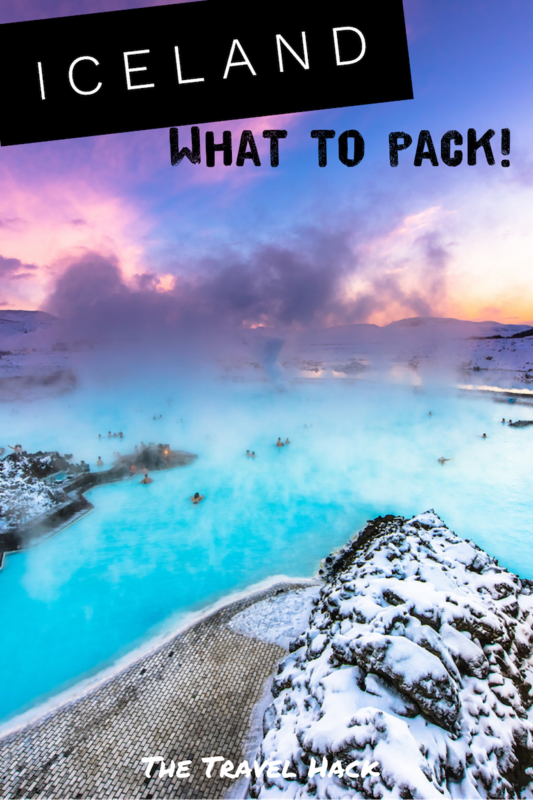 To help you plan your trip, Kiki from The Blonde Abroad gives a guide to Iceland in each season, including the weather and festivals to look out for, so you can decide on the best time to visit Iceland. Iceland is such a surprising place, full of myths and legends and customs that will confuse and delight you. These (admittedly random) facts are some of the things I learned on my first trip to Iceland (including when to celebrate National Beer Day). Elle shares some of the lessons she wishes she’d known before visiting Iceland’s capital city, including what to expect at the famous Blue Lagoon (i.e. what no one tells you about what your hair will feel like afterwards) and the best time to arrive. Rebecca from Away from the Office shares insights that will help to make a first-timer’s trip to Iceland the best it possibly can be. This guide to Iceland offers some tips on how to save money, and shares prices you can expect for an average meal, which can be a shock for first-time visitors to Iceland. A lot of visitors to Iceland come in the hopes of spotting the incredible and magical Northern Lights, but it’s not as easy as just turning up and spotting them. Jeannie offers practical tips to give you the best chance of seeing the Aurora Borealis when you visit Iceland. Not sure if Iceland is the right destination for solo female travel? Milly from Mini Adventures shares why it’s the perfect place to travel alone, based on her trip there, which was her first ever solo travel destination. Iceland is a fantastic destination for a stopover, especially on the way from London to New York, or vice versa. Brooke shows how you can see loads in a short time thanks to this spectacular 4 day itinerary, which includes many of the country’s most famous sights. Got a little bit longer to explore? This guide to Iceland, which includes a handy map, breaks down the two weeks day by day, including expected drive times, recommended accommodation, and what you can see along the way. Not sure how long you need to spend in Iceland? This post shows you what you can do with a quick layover vs a week or longer, so you can plan better and work out how much you really want to see…probably all of it, let’s be honest! This Iceland itinerary is a little bit different because it’s specific to winter, which is a season that brings its own beauty (and its own set of challenges, too). Learn how to see as much as possible, and get useful tips on how to navigate Iceland in the middle of winter. There’s so much to see all around Iceland, but the city of Reykjavik has plenty to offer, and you can easily stay in the city and still have a whole lot of adventure. In this post, Kaelene shares how to base your Iceland holiday in Reykjavik, and offers tips to make the most of your Icelandic city break. When I visited Iceland back in 2015 for a long weekend, I knew it would be amazing, but I was blown away by how utterly incredible this 36 hour trip really was! 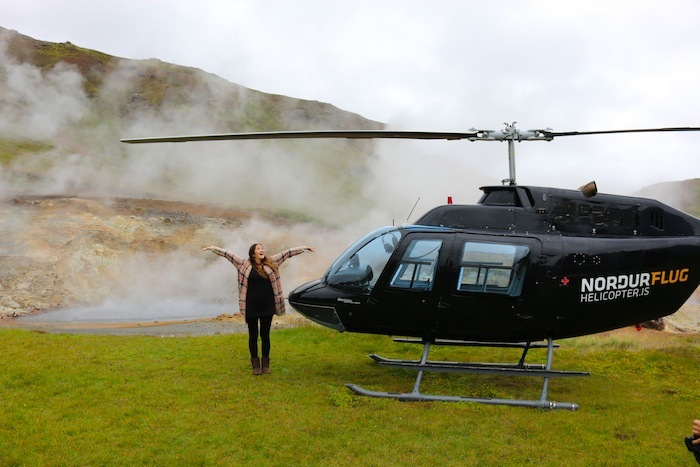 From champagne on black sand beaches to helicopter tours, it was the kind of trip I know I’ll never forget in my lifetime! The most famous driving route in Iceland, the Ring Road, is full of sights and wonders to stop and admire along the way. We Are Travel Girls break down the best stops to make as you drive the perimeter of the country, including where to go to spot puffins! 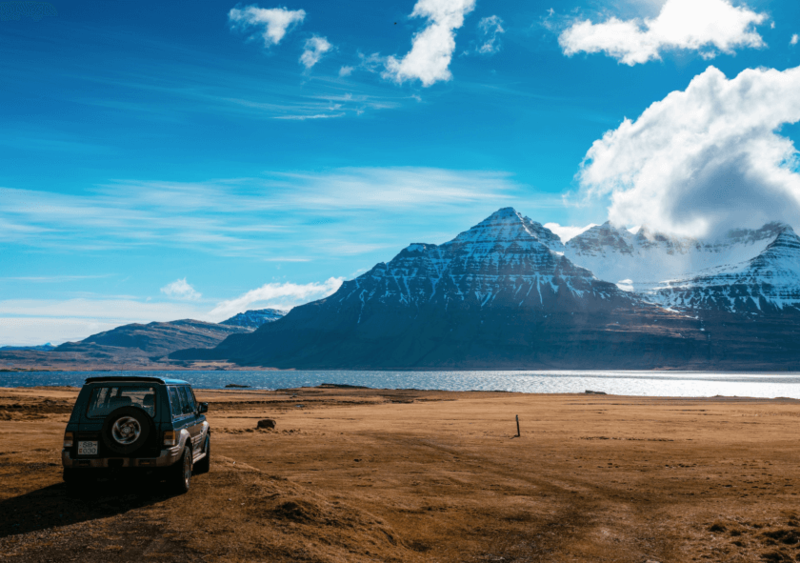 A road trip might be the most epic way to see the best of Iceland, but there are a few things it’s good to know before you hop in your car and hit the road. Marie-Eve shares her top dos and don’ts of road-tripping in Iceland here. With a handy map to guide you and epic photos to inspire your Iceland road trip, this mega-post will probably make you want to just pack your bags and move there, because there’s so much to see that one trip just isn’t enough! 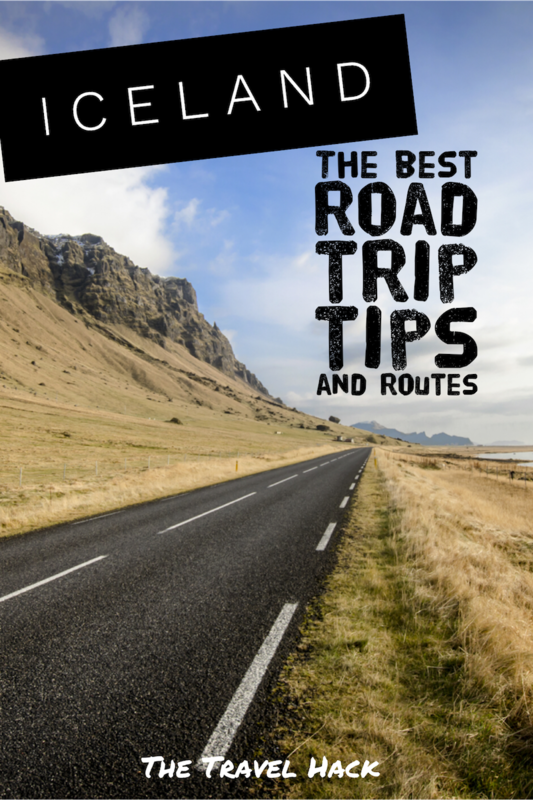 From when to travel to Iceland for a Ring Road adventure, to weather conditions and tips on knowing Iceland’s road signs, this road trip tips post by Kiki is perfect for first-timers to Iceland. Summer is when people usually hit Iceland for a road trip, closely followed by winter (because chances are higher of seeing the Northern Lights), but what about the in-between seasons? This guide to Iceland road tripping in spring argues why it’s the best time to go. This blog post is something of an Iceland bucket list for beginners. 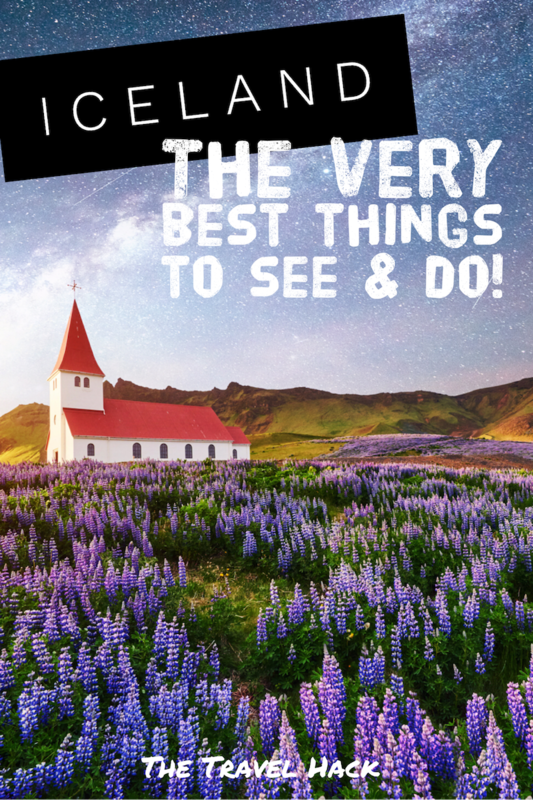 Covering all of the highlights and ‘must dos’, if you ticked everything on this list off during your first time to Iceland, you’ll have had a memorable trip indeed! With some alternative suggestions for things to do in Iceland (like finding live music in Reykjavik, and seeing a waterfall from a different perspective), this list basically reads like a guide to having the most fun in Iceland! There might be loads of blog posts out there about visiting Reykjavik, but this one stands out because it offers practical tips, like buying water before going on a tour, and the best way to pay for things when you’re there. If you want to really get to know Reykjavik before you visit Iceland, this is the post for you. 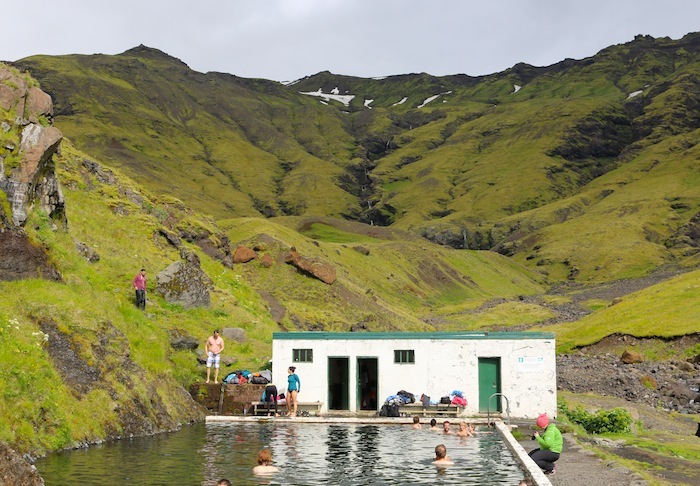 Yes, The Blue Lagoon might be Iceland’s most famous hot spring, but no – it’s not the only one! Some of the other hot springs dotted around the country are absolutely breathtaking, and not overcrowded like The Blue Lagoon can be. I bet when you think of Iceland, snorkelling isn’t the first activity you imagine doing! But despite the freezing temperatures, it’s possible – and it’s incredible! Take a look at my video from the time I went snorkelling in Iceland. Would you dare? It can be overwhelming trying to find the right tour for you, especially when there are so many available. 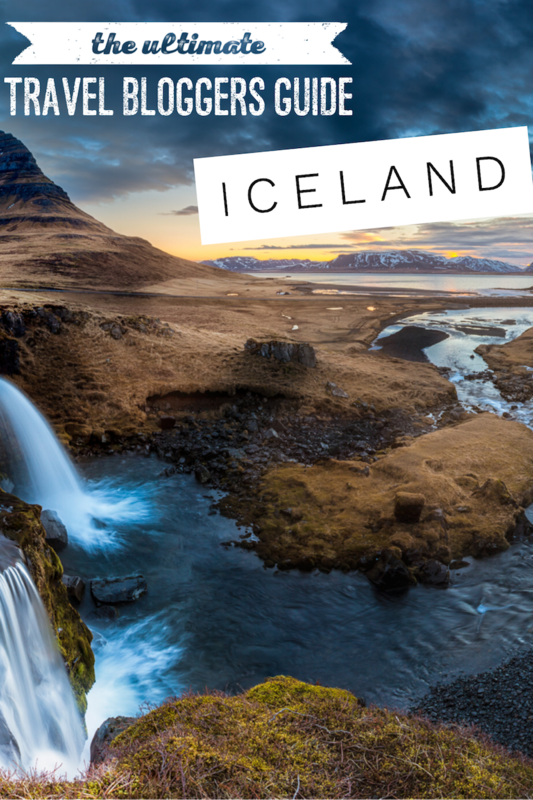 Thankfully, Yulia from Miss Tourist has broken it down for you by choosing ten Iceland tours that are worth the money. The Blue Lagoon is instantly recognisable, and a must-see when in Iceland – after all, we’ve all seen the stunning Instagram photos of milky blue waters surrounded by dramatic black volcanic rocks. But what is it really like to visit? I share my top tips here. Iceland is notoriously expensive. Even if you’re expecting high prices, it’s usually even more pricey than first-time visitors anticipated. 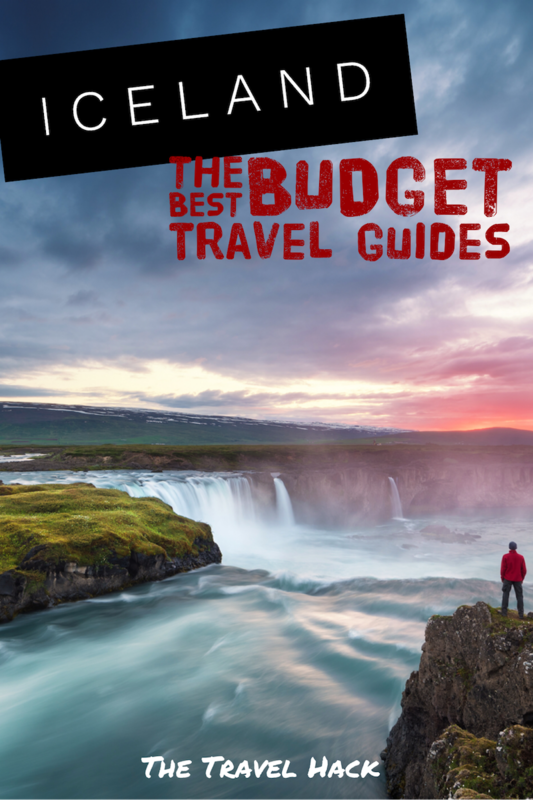 This in-depth guide covers average costs of travel expenses, as well as offering 21 practical ways to save money in Iceland. Can you ever have too many Iceland money saving tips? I don’t think so. This guide to Iceland on a budget offers some brilliant tips (including where to find cool second hand stores to look for one of those cute Icelandic wool jumpers for less). One of the best ways to save money in Iceland is to camp, rather than paying for costly accommodation in hotels or hostels every night. Not only will you save money, but you’ll also be immersed in some of the world’s most beautiful landscapes. Here’s how to do it. Going out to eat in Iceland is jaw-droppingly expensive, so Victoria and Terrence offer some alternative food options, as well as other money-saving tips for a trip to Iceland. I love it when bloggers break down the exact costs of their trip – it’s so useful to understand how much to budget – and Milly does exactly this in her Iceland budget post. She doesn’t hide any expenses, and itemises each cost from food to transfers to flights, to give you a great idea of just how much you need to budget to visit Iceland. Iceland’s weather is rarely predictable, even in the warmer summer months, so packing can be really tricky. This post by Shana shares packing lists and tips for the city or for outdoorsy Icelandic adventures, for the whole family. From the essential jackets you’ll need to pack for Iceland to perfecting the art of layering, this packing guide by Amalia will put your mind at ease and make sure you’re as prepared as you possibly can be for Iceland’s unpredictable climate. After my first trip, I picked eight items that you just can’t travel to Iceland without. This guide to Iceland packing essentials covers all activities, from hanging out in the city to outdoor adventuring – and a little in between. Whether you’re visiting in summer or winter, Suzanne’s got you covered with these practical Iceland packing tips. She’s got some clever recommendations, like those tech gloves that mean you don’t have to expose your fingers to the cold when you take a photo. Genius. Packing for a summer holiday is usually pretty easy and stress-free, but not so when you’re travelling to Iceland. Don’t get caught out without the right gear – with this guide by Greta, you won’t have to. Sure, eating out in Iceland is famous for being expensive, but there are a few places that are worth the splurge. This list of unusual places to eat at in Reykjavik includes an establishment no trip to Iceland would be complete without visiting: Baejarins Beztu Pylsur, also known as the hot dog stand! Don’t worry, if you’re travelling to Iceland on a budget, you don’t have to survive on bread for your trip. This guide to budget eats in Reykjavik includes local recommendations that are both tasty and easy on your wallet. That Indian street food looks incredible! Don’t read this blog post while you’re hungry! 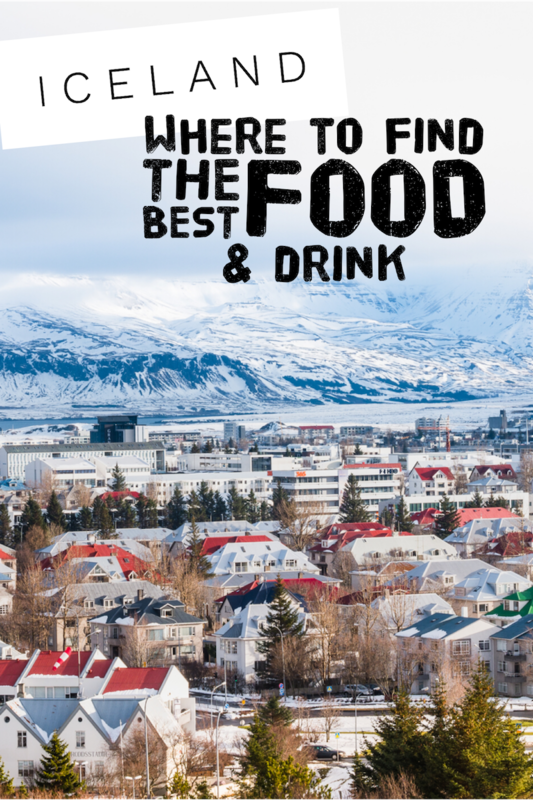 This guide to Iceland’s best food offers some seriously mouth-watering options all around the Golden Circle region, from the best brunch to the tastiest ice cream and where to get fresh lobster soup every day. 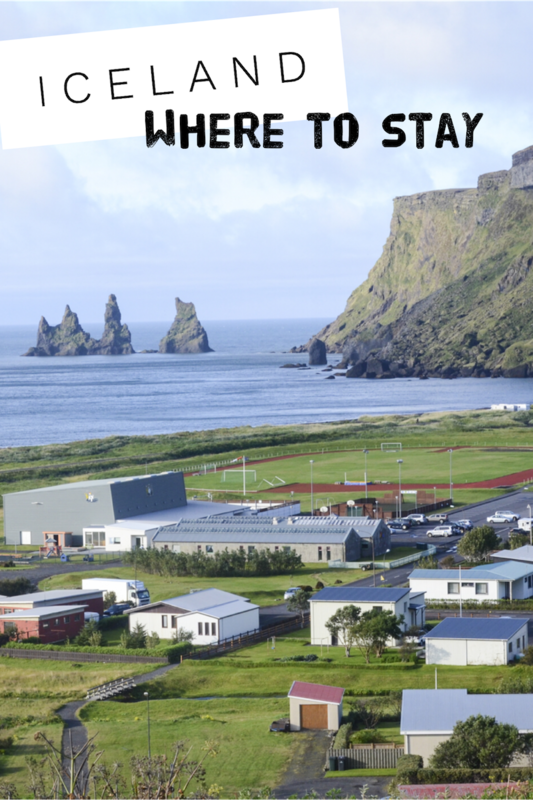 Hotels in Iceland might be expensive, but when the hostels are this amazing, who needs a hotel anyway? KEX Hostel is a quirky, friendly option for visitors to Iceland who don’t want to spend a fortune (but who also want a bit of style in their stay!). Forget about a five star hotel…how about a five million star hotel? This bubble hotel is fully transparent, so you have uninterrupted views of the Icelandic sky. It’s perfect for watching the Northern Lights, but it would be magical even if you didn’t see the Aurora. Definitely one for the bucket list. From luxurious hotels to cosy and comfortable home stays, there are plenty of options for accommodation in Iceland. This comprehensive guide breaks it down by region so you can plan your entire trip, night by night. Do you have any more tips to add to this guide to Iceland?